An artist’s conception of a brown dwarf known as 2MASSJ22282889-431026. 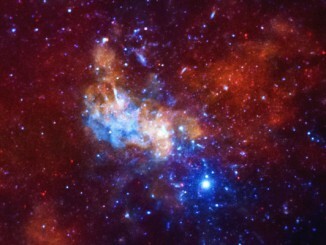 Image credit: NASA/JPL-Caltech. 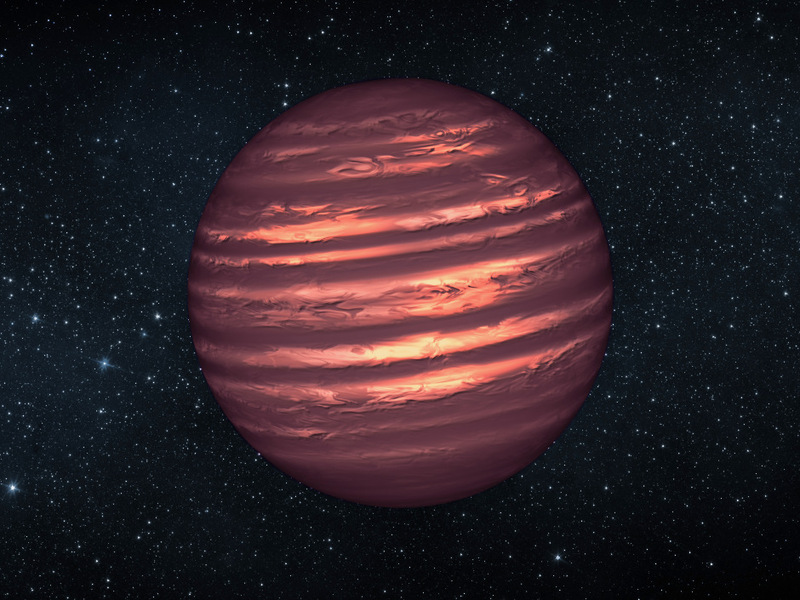 Brown dwarfs are objects that are too large to be called planets, yet too small to be stars. Having a mass of only less than seven percent of the mass of the Sun, they are unable to create sufficient pressure and heat in their interiors to ignite hydrogen-to-helium fusion — a fundamental physical mechanism by which stars generate radiation. In this sense brown dwarfs are “failed stars.” It is therefore important to know how many brown dwarfs really exist in different regions of the sky in order to achieve a better understanding of star formation and of the motion of stars in the Milky Way. Gabriel Bihain and Ralf-Dieter Scholz from the Leibniz Institute for Astrophysics Potsdam (AIP) have taken a careful look at the distribution of nearby known brown dwarfs from a point of view that was not looked at before. To their surprise they discovered a significant asymmetry in the spatial configuration, strongly deviating from the known distribution of stars. 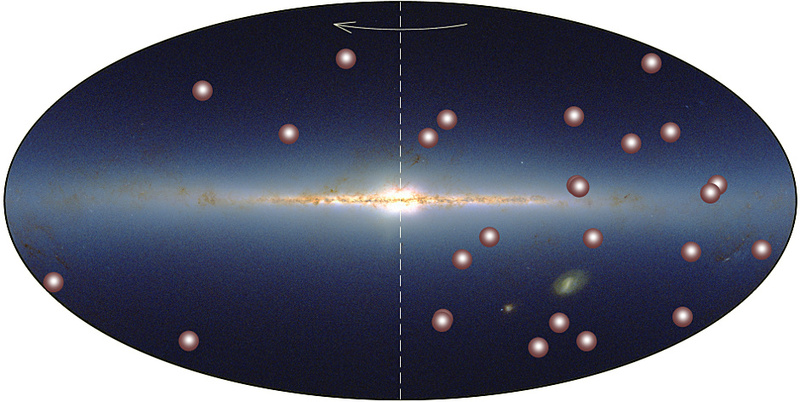 The distribution of known nearby brown dwarfs within 22 light-years (depicted as brown spheres) shown against the background of a sky panorama in infrared light. The arrow indicates the direction of the rotation of the Milky Way and the dotted line separates the two very differently populated hemispheres. Illustration credit: AIP/2MASS. “I projected the nearby brown dwarfs onto the galactic plane and suddenly realised: half of the sky is practically empty! We absolutely didn’t expect this, as we have been looking at an environment that should be homogeneous,” Gabriel Bihain explained. Seen from Earth, the empty region overlaps with a large part of the northern sky. The scientists concluded that there should be many more brown dwarfs in the solar neighbourhood that are yet to be discovered and that will fill the observed gap. If they are right, this would mean that star formation fails significantly more often than previously thought, producing one brown dwarf for every four stars. In any case, it appears, the established picture of the solar neighbourhood and of its brown dwarf population will have to be rethought. “It is quite possible that not only brown dwarfs are still hiding in the observational data, but also other objects with even smaller, planetary-like masses. 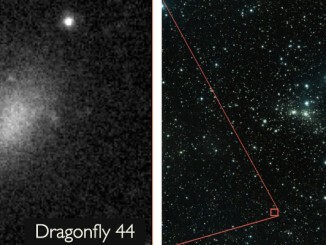 So it is definitely worth it to take another deep look at both existing and future data,” Ralf-Dieter Scholz concluded. This research has just been published online in Astronomy & Astrophysics. An astronomer from Liverpool John Moores University has discovered a new family of stars in the core of the Milky Way which provides new insights into the early stages of the galaxy’s formation. 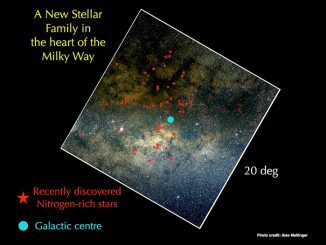 The discovery has shed new light on the origins of globular clusters formed at the beginning of the Milky Way’s history.